In the past couple of weeks, we’ve been hearing quite a bit about Apple’s supposed Healthbook endeavors with iOS 8. The app, which will supposedly be structured in a similar manner to which Passbook currently operates in terms of its card-like user interface, is to be a one-stop solution for iOS users looking to focus on health, fitness and wellbeing. Although there’s been no word on if, or even how said feature may integrate with Apple’s ever-rumored ‘iWatch’ plans, one concept maker has thrown together an interesting video of how Healthbook may harness the power of iWatch to deliver a complete experience. 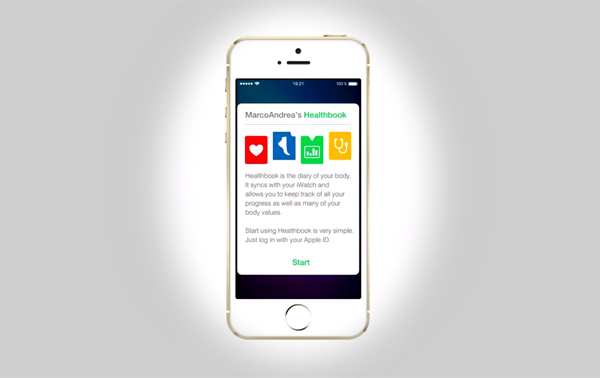 Given current market trends, one would expect that the Healthbook app (or whatever it shall eventually be named), will become an integral part of the Healthbook suite. After all, Samsung’s latest batch of smartwatches also includes the Gear Fit, and with Google having just announced and released a beta of the Android Wear SDK, we’d hazard that the Korean company’s wearable won’t be the only forthcoming device to include extensive fitness-related services. Concept designs are often cooked up solely for the purpose of dreaming. Often, those behind the great renders and videos create them for idealistic purposes, to present what would be very nice to have, but what almost certainly will not occur. However, this effort from ConceptsiPhone, a group that we’ve seen one or two times before, actually makes a great deal of sense based upon what we’ve gathered thus far. Running us through the process of firing Healthbook up, a Siri-like voice narrates on the app’s capabilities. 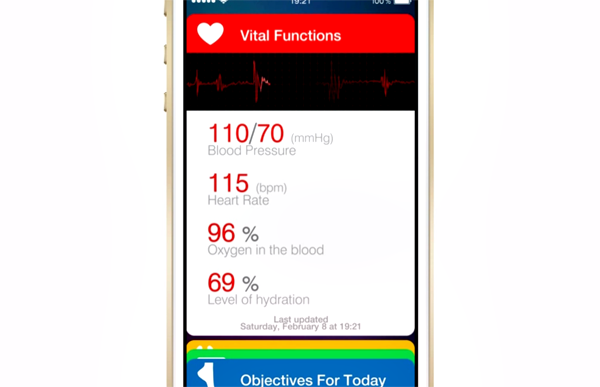 "Healthbook is the diary of your body," it says, "and automatically synchronizes with your iWatch." Linking up with the elusive iWatch, it allows a user to keep track of activity, as well as "body values," like heart rate, blood pressure and so forth. There’s no doubt that a device like an iWatch would supplement any Healthbook feature, but it’s also worth pointing out that such technology wouldn’t be a necessity. Moreover, much like Passbook was widely expected to prompt NFC capabilities in iPhones – a notion that turned out to be completely false – it would be jumping the gun to presume that just because others are doing it, Apple will follow suit. With that said, we’re not discounting the prospect of Apple releasing an iWatch this year, although with rumors swirling – from fanless MacBook Airs and iPad Pros to larger iPhones and higher-res Thunderbolt displays – it would be quite something if Apple managed to pull everything off in 2014. Check out the concept video embedded, and be sure to leave your thoughts on whether you feel the iWatch is a necessary peripheral to any fitness-related iOS suite.